Jeffry Cadorette had a 25-year career as a physical therapist in private practice as president and CEO of Physical Therapy Associates of Delaware County in Pennsylvania until merging his practice with Riddle Memorial Hospital to form the Riddle Rehabilitation Institute and Riddle Sports Medicine. He is now associate broker and executive vice president at Media Real Estate Co., where he is active in all phases of commercial real estate sales and leasing, tenant representation, and new project development. 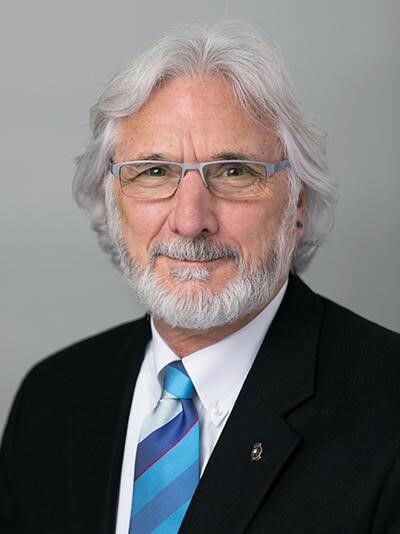 A Rotarian since 1977, Cadorette has served RI as a committee member, Council on Legislation delegate, international training leader, seminar trainer, and president’s representative. He was worldwide coordinator of Rotary Foundation alumni coordinators from 2010-11. Cadorette is a Foundation Benefactor and Major Donor and has received the Citation for Meritorious Service, the Distinguished Service Award, and RI’s Service Above Self Award.